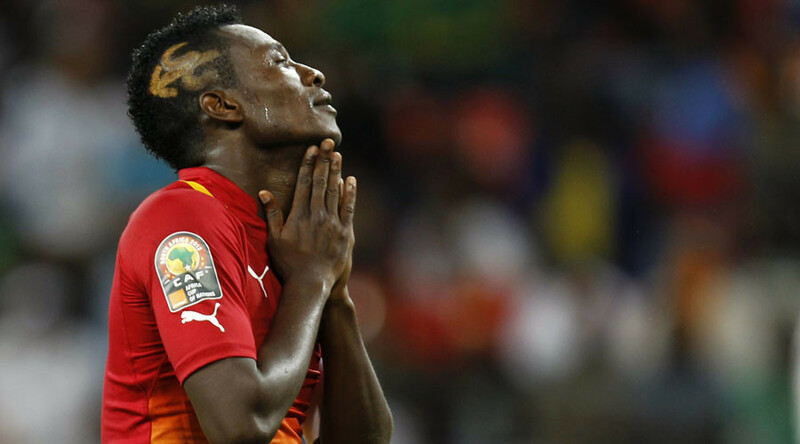 Former Premier League ace Asamoah Gyan has reportedly fallen foul of an Islamic football regulation designed to clamp down on extravagant hairstyles. Gyan, who had a spell in England with Premier League club Sunderland, is currently plying his trade with Al-Ahli in the UAE. Al-Ahli sit third in the Arabian Gulf League table but are now facing a headache over what to do with Gyan’s mohawk, which has the number three shaved into it. The 31-year-old has sported a series of flamboyant coiffures during his career. Gyan is apparently one of 46 footballers playing in the Arab League identified as sporting “unethical haircuts,” Middle Eastern sports website Ahdaaf reports. Other players reported to have made the cut for a ‘dubious hairstyle’ includes Brazilian midfielder Leonardo. It’s not clear whether Gyan will face any sanctions over his current hairstyle. According to Sky Sports News, the unusual haircut guidelines fall under UAE Football Association regulations. In 2012, a similar regulation in Saudi Arabia saw goalkeeper Waleed Abdullah forced to cut his hair in the middle of a game. Abdullah’s tight ’do was deemed to be “unIslamic”.